It was about time for a test run and the visit of our Maybach consultant Rob Fern put a period to the decision to do it. This video from our friend Evan Werkema tells most of the tale and we cannot thank him enough for its production. 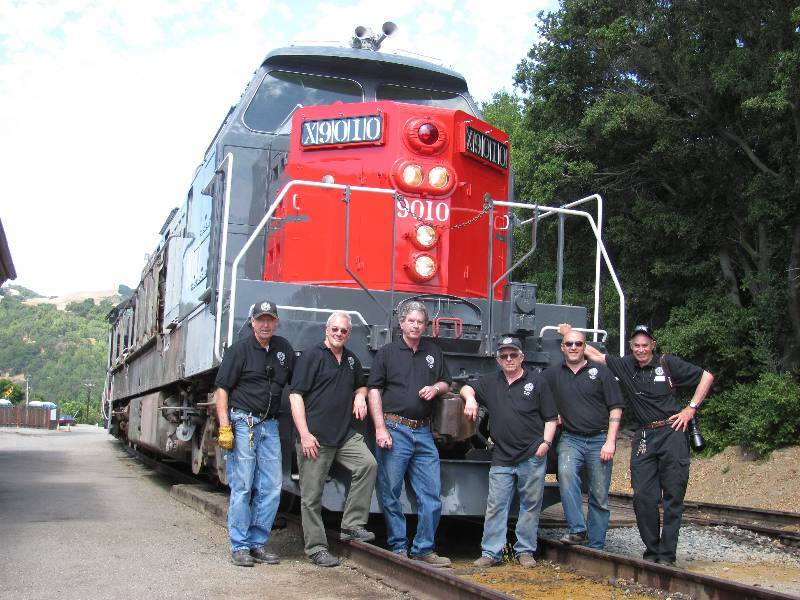 Here we have the 9010 crew, having enjoyed their trip from Brightside to Sunol under the skilled control of Rob Fern. And then, I could not resist getting a photo of the air guages showing a real, live 9010 air brake system. What did it take to make this day possible? There are many facets to this sort of operation. 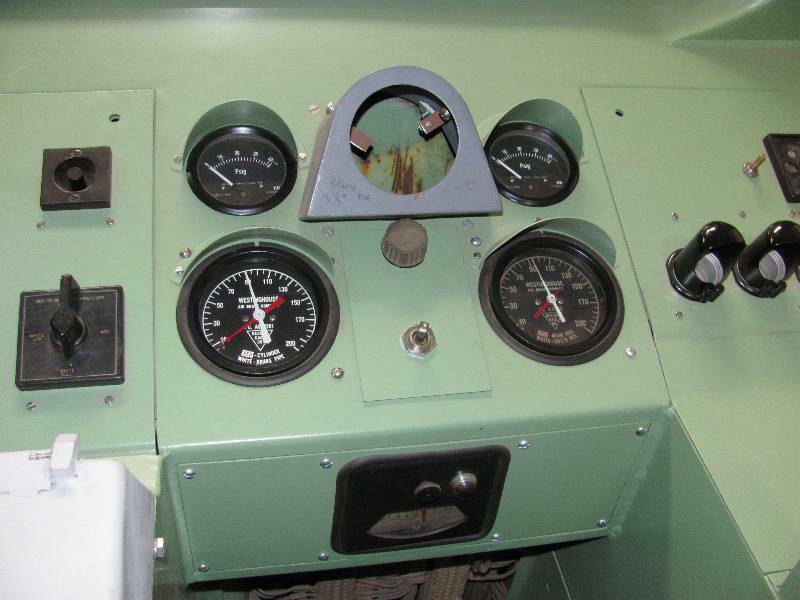 A significent amount of work has gone into replacing all of the Multiple Unit wiring that connects the 9010 to another locomotive. The air brake system on the 9010 was completely rebuilt and brought up to current date so it meets FRA requirements. The 9010's control stand was completely rebuilt as after being exposed to the elements for 20-odd years, everything was frozen and corroded. The two locomotives were coupled and a standard set of test conducted to insure that the 9010 could and would properly control the 5472. Our SD9 was under the watchful eye of Rich Anderson and the day's Conductor was Gerry Feeney. We were pleased to find that the 9010 rides smoothly and of course, with the power being in the SD9, the 9010 is remarkably quiet. It was a wonderful, thrilling and satisfying day. And here, as one final offering, is a runby at Brightside crossing with Rob Fern in command.